This is from a home impacted by a near approach of the Etiwanda fire. The Etiwanda fire was typical of a Southern California Chaparral fire. 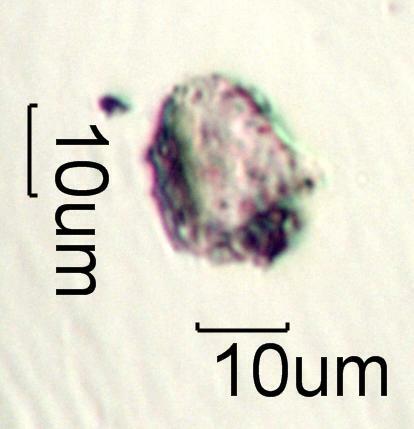 This is a silica phytolith from a grass still coated with part of the char from the grass.